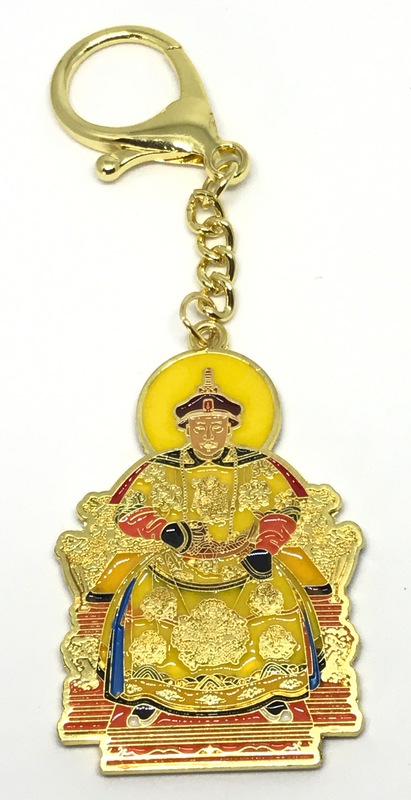 The Jade Emperor offers divine luck from heaven and provides heavenly assistance in all your undertakings. 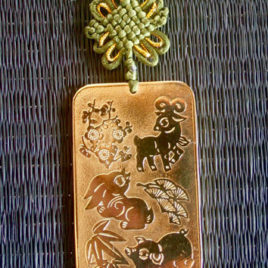 Carry this royal amulet if you would like to attract support from influential people. 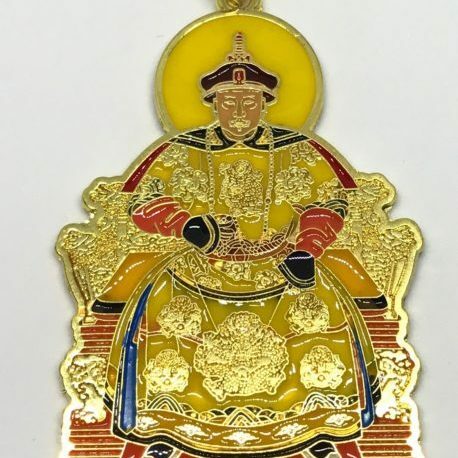 The Jade Emperor will help you to gain respect and a positive rapport with your superiors, bosses or business partners. This amulet also brings mentor luck by attracting powerful people into your life who can open new doors for you, boost your career, or bring new investors for your business. The Jade Emperor will ensure that anyone who holds any power over you will give you support and assistance. In 2019, especially recommended for those born in the Year of the Rabbit to activate the luck brought by this year’s Heaven Star. This amulet is not just a pretty piece of jewellery, it is a wealth amulet that will fulfil your wishes and attract prosperity and abundance into your life. The 5 Yellow Star (also known as “Wu Wang”) is the most feared of the annual stars. It brings serious danger and can cause terrible misfortune. The Five Element Pagoda has been used as a very effective Feng Shui cure for centuries. It contains the wish-fulfilling mantra at the base, which emanates powerful energies. 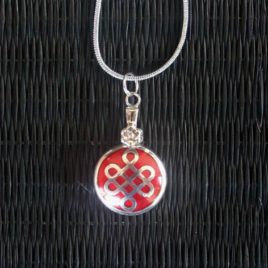 Wear this pretty Mystic Knot pendant to multiply your health luck, wealth luck and relationship luck and invite extremely good fortune in all areas of your life. Good friends and supporters are essential to a happy and successful life! They bring help and support whenever you need it, be it at your new school or at the work place. Helpful friends and benefactors are also important for those working towards a promotion.